Cross border family issues can be a complex mix of treaties, uniform acts, case law, and local laws. 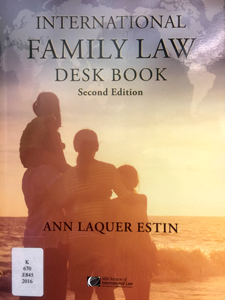 The International family law desk book, by attorney Ann Laquer Estin, discusses transnational litigation, marriage, divorce, parental rights, custody, child support, adoption, and child welfare. The International family law desk book is available for checkout from the Wisconsin State Law Library.